When I told my friends and family that I was planning to stay in Kenya and do more than just stay in a luxury hotel and explore the sandy plains of the Masai Mara, they were quite concerned for my sanity as well as my safety. I've never been one to heed advice from others so of course, I went straight ahead and booked a domestic flight from the National Reserve straight to Wilson Airport, Nairobi, where I spent four days attempting to capture a true sense of Kenyan culture. The itinerary that I so carefully crafted in the months before going away was scrapped the moment we landed in the city. After spending four days in absolute seclusion, all we wanted was to reconnect with human civilisation! We talked to cab drivers who kept giving us the generic "You should visit the elephant orphanage/giraffe centre/national park!" Now, I don't know about you, but once you have seen leopards climbing trees to have naps right above your head and wildebeest cross the Serengeti via the river, feeding animals with milk bottles through barbed wire hardly seems like an authentic experience! While driving around Kenya, we often asked our drivers for local recommendations and what they love to eat all the time. Bleary eyed, flight fatigued and carbed out from plane food, I was ready to taste real food. Every single one attested to the Kenyan love for nyama choma (Swahili for ‘roast meat’.) Lots of blogs made it sound like skewers of grilled lamb lined the streets of Nairobi, but as I was staying in the corporate sector, there were few stalls around. After searching some of the drivers’ suggestions, we chose Carnivore. Clearly aimed at an international audience, the restaurant caters to halal and vegetarian requirements if you call in advance. It is also on the pricy side of casual dining. However, after searching many Tripadvisor forums, I discovered that its lunch buffet is cheaper than the evening menu. We paid roughly £25 per person for the all inclusive nyama choma buffet, tea and dessert. The smoke from the wood fired BBQ pit carries your senses away to a distant time. There isn’t plenty of meat available- there is an overwhelming amount! They no longer serve protected wild animal meat; the wildest thing available is ostrich. 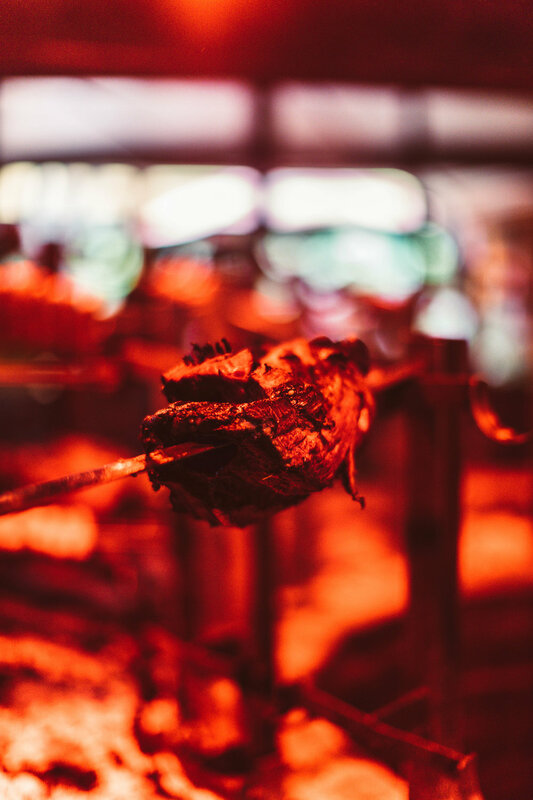 With locals and tourists alike flocking the place, it is an absolute place of pleasure for carnivores. For me, this was the most emotional and invested I’d been on a holiday. Kibera (derives from the Nubian ‘kibra’ or jungle) is the largest urban slum in Africa and also possible the most friendly. Historically, Kibera was home to Nubians who settled there after WW2. Now, the fifteen villages that make up the region is home to several tribes. The abject poverty that inhabitants face is testament to the huge class divide between the rich and poor in Kenya. Our volunteer, Moses, explained that the living conditions in Kibera are close to inhumane. He rummaged through case studies that highlighted overpopulation, unemployment and contagious diseases. However, the reason I was most struck by this experience was all of the actions the local communities were taking in order to tackle their own problems. Hellen Moraa is the chairperson of Power Women Group, an initiative set up by female volunteers in Kibera who raise awareness about HIV/AIDS as well as provide a safe haven for women who have been stigmatised due to it. Initially the group was set up to provide emotional support but it has since dedicated itself to fighting the stereotype that life ends when you are diagnosed with AIDS. 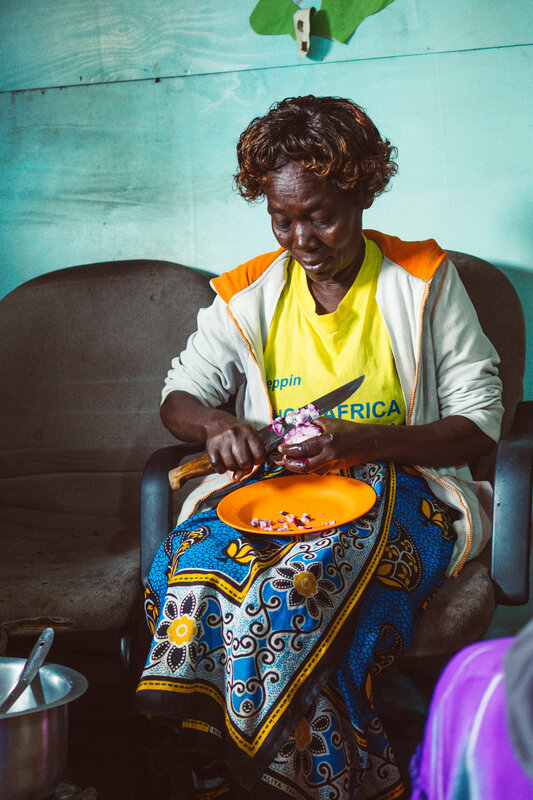 These women work tirelessly and still take their medication so why is it that society believed they were unemployable or unable to take care of their family? 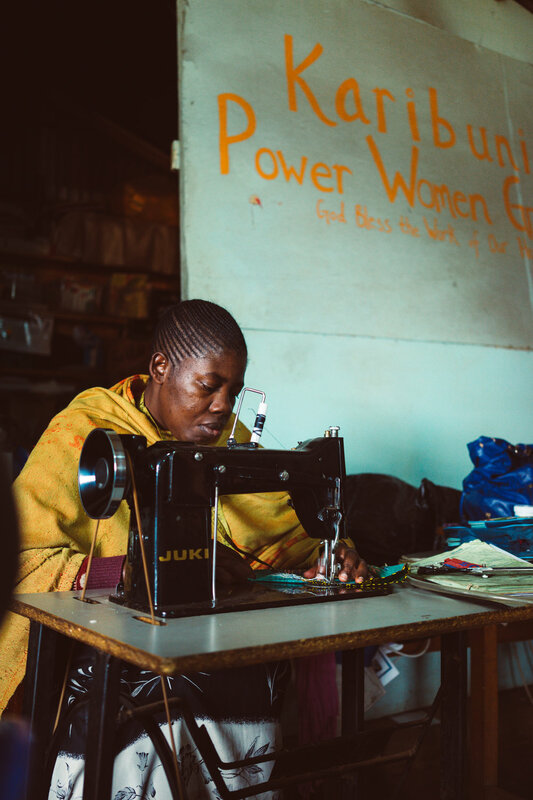 Women like Hellen and Rosemary train other women so they are qualified in crafts, hairstyling or childcare so they might be able to find employment in Kibera. They also sell their wares in the Power Women shop. I talked to Hellen for hours about what she does, why she thinks it's important. She was so lovely and even made me ugali and sukuma wiki (kind of tastes like soi pita and shaak if you're Bengali!) I was so lucky to have met such an incredible force. As a teacher, this was something I couldn’t leave Kenya without taking part in. We gave very last minute notice to Old Kibera Primary School that we wanted to visit and participate in any way we can. We were welcomed with open arms and teachers eager to share their story. The school was founded by the British Army in 1957 as a tribute to the Nubian soldiers who fought beside them. Little about the school has changed since. With almost 2000 students and only 15 teachers, class sizes are astounding. In the UK, the legal maximum for a class size is 30 but with budget cuts, all that is subject to negotiation. As the school prefect Benjamin showed me his artwork and walked around the vast open playing field (working in inner city London, the school I work at doesn’t have any such thing, apart from an open rooftop area!) I was faced with the bleak reality of systematic neglect. However, seeing the headteacher’s determination and hearing how she has already brought about improvements like the porta-cabin style library and better water irrigation system instills hope that the students are in more than capable hands.